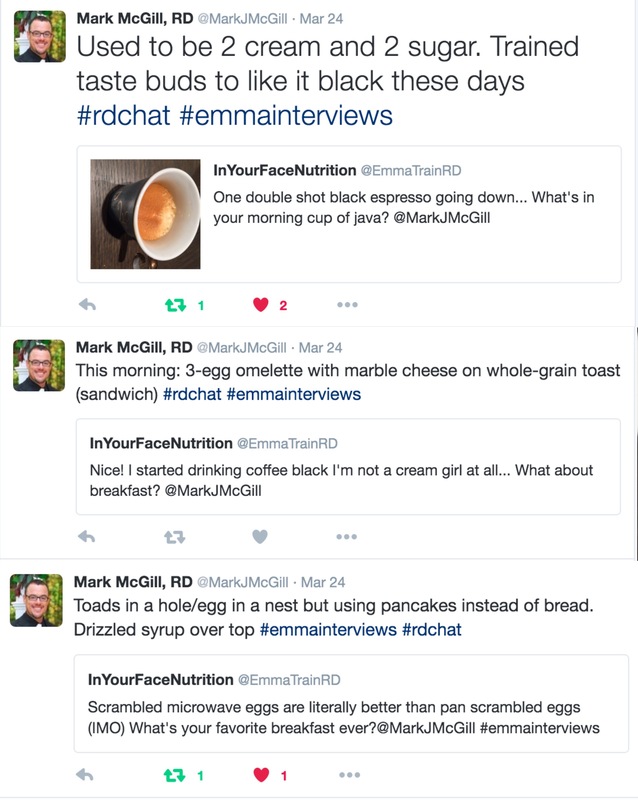 Mark and I banter back and forth on twitter regularly, I respect his opinion on nutrition (probably other things too) so I decided I should interview him, on twitter … It only made sense that I should get up before sunrise to drink copious amounts of coffee and tweet to him (in the future) about conflicting nutrition messages, the paleo diet, Kendall Jenner and cooking with Gordon Ramsay. 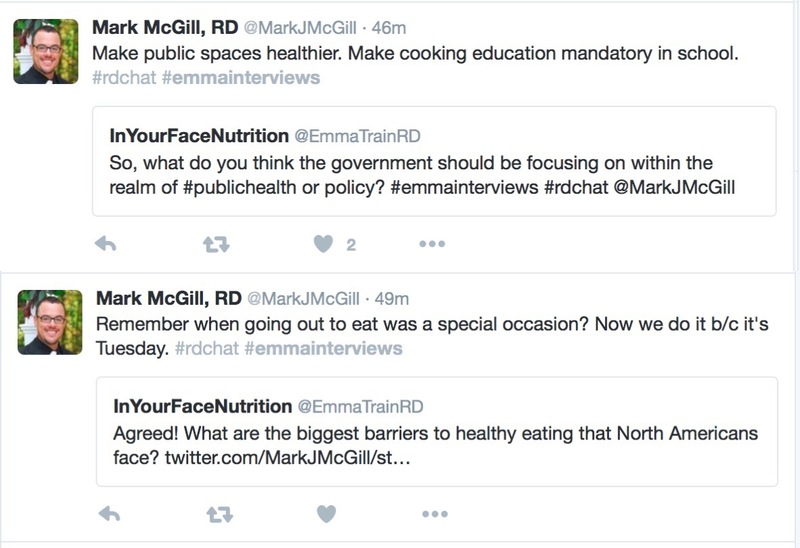 Check out a few screen captures from our conversation below or go online to twitter and find our full conversation on either of our Twitter accounts or with the hashtag #emmainterviews. 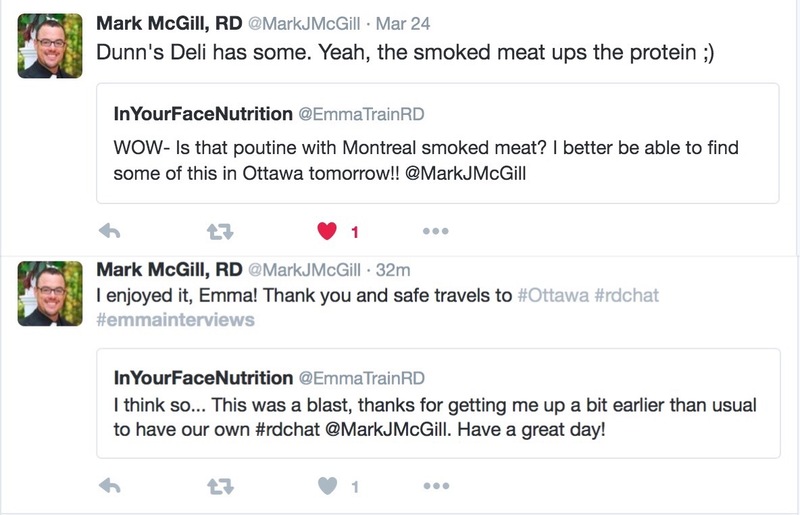 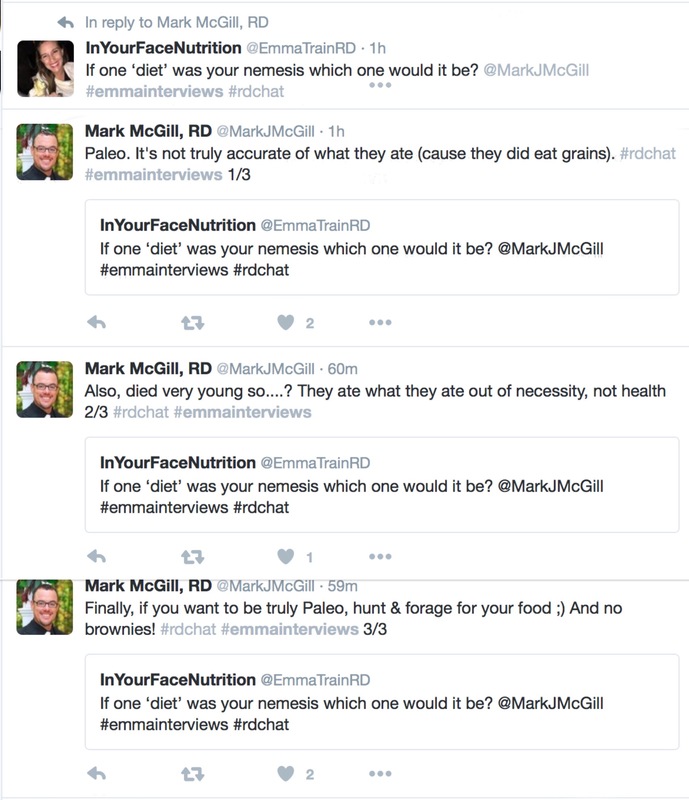 You can follow Mark, an Ontario-based Registered Dietitian on twitter here. 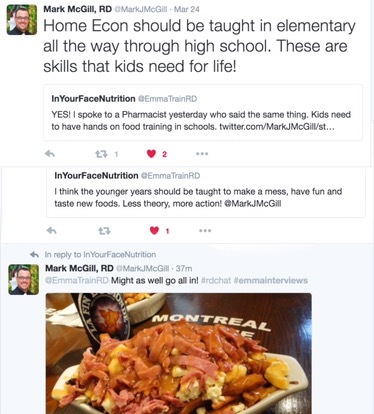 Previous Post A School Teacher Shares Her Thoughts On Barriers To Healthy Eating.